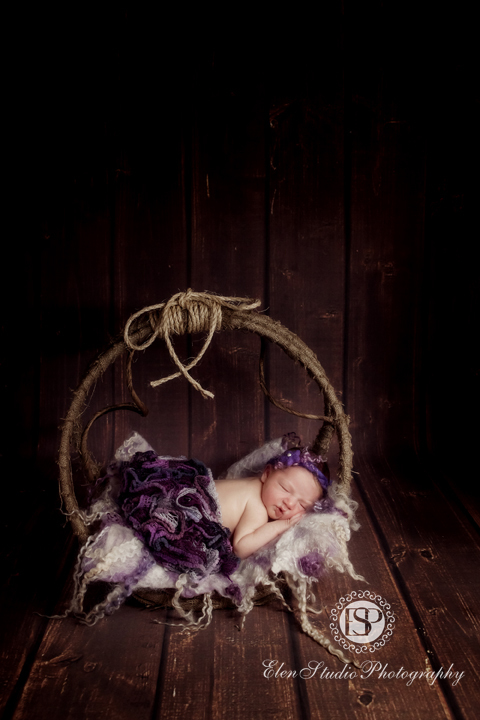 I love photographing tiny princesses at my Derby studio! 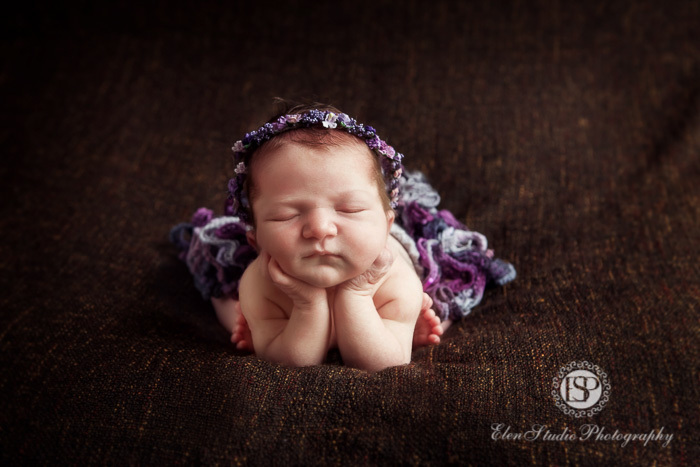 Let me introduce – newborn baby girl photographs of little Miss E! We met with Miss E’ parents long before she was born and even chose an album for her photographs at the same time. 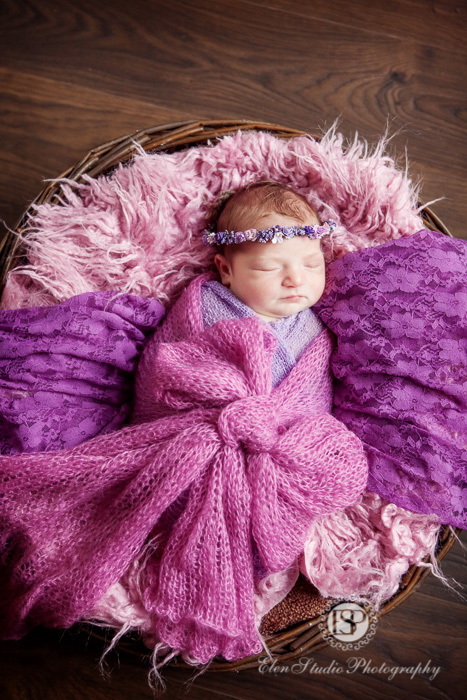 Our little princess is the third child in her family and her parents wanted the newborn photographs to be perfect! Miss E’s parents also suggested colour theme and we discussed many other details – thank you for showing so much interest in this photo shoot! 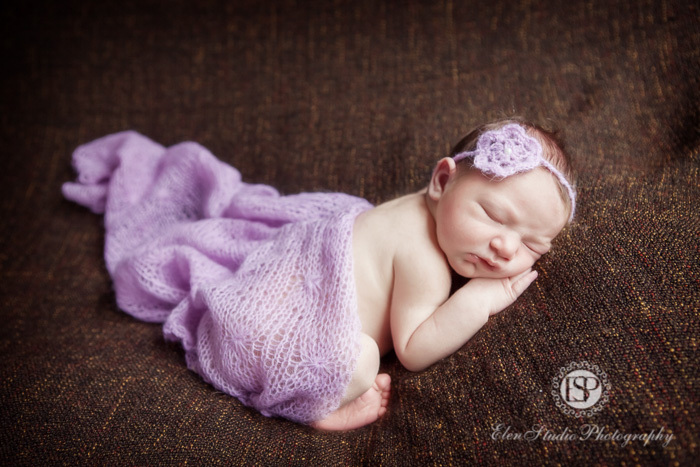 This little cutie was little indeed – just four days old, one of my youngest models! As for most babies in this age, she was in deep sleep during the session, just occasionally waking up to ask for more milk. 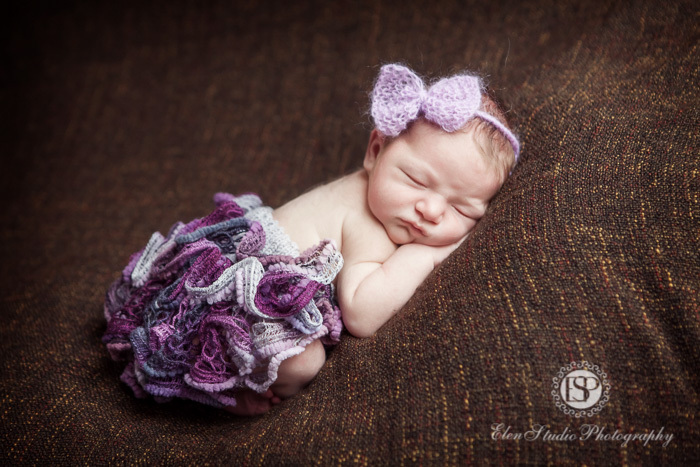 She let me dress her in beautiful purple skirts, wrap in purple cloth, put little head bands and hats, and she was so sweet during the whole photo shoot! Then we decided to play with different colours a little bit, now the theme was brown-yellow. 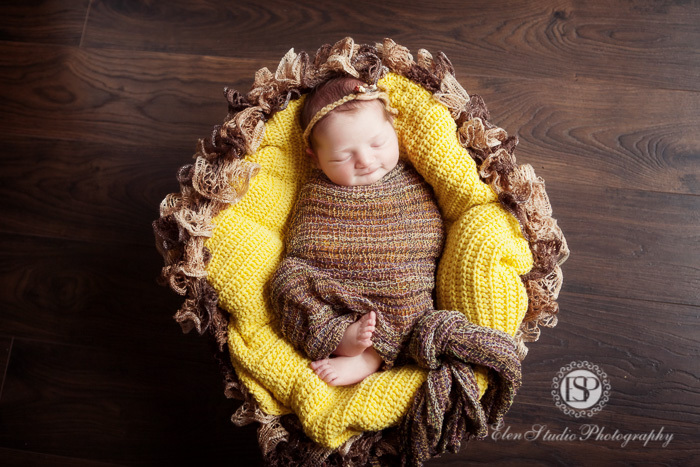 Here is one of such pictures in a nest basket. She is so serenily, is not she?! 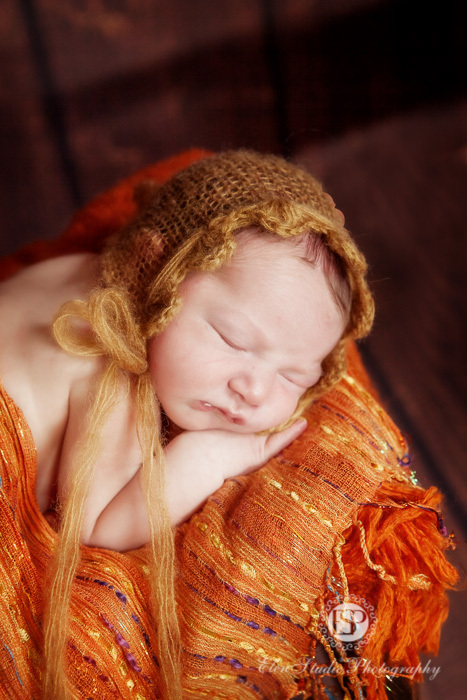 Enjoy the rest of the newborn baby girl photographs of Miss E, and keep an eye on new baby photography posts!